Caging: 10 to 20 gallon tank. Need at least two hideaways. One above an under tank heater and one filled with watered down moss to create a “humidity hut” to help with shedding. Substrate: Reptile carpet or even thin marble tile are recommended. Lighting: Leopard Geckos are nocturnal so they don’t need any special lighting. Be sure not to provide too much light as very bright lights will cause them stress. Temperature: a range of 75F to 85F degrees should be offered. 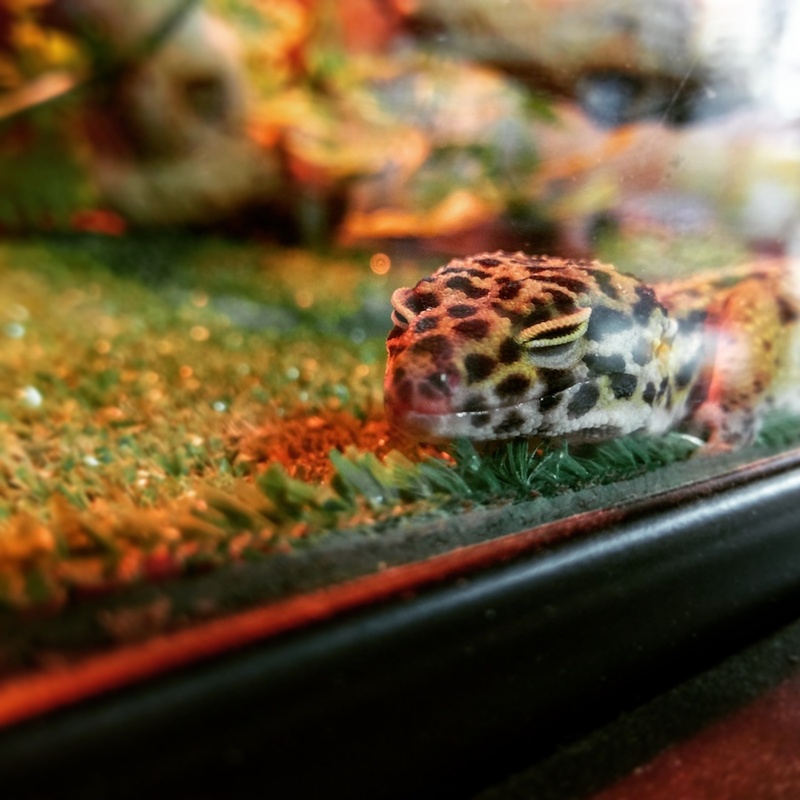 A hide away above an undertank heater should be provided to help the leopard gecko digest its food. Ambient temperatures should be provided with infrared heat lamps as basking lamps are too bright for the gecko. Diet: Crickets, small meal worms, and Dubia cockroaches should be provided. Leopard geckos are insectivores and don’t need and fruits or vegetables. Sprinkle on calcium and vitamin supplements on their food a few times a week.